My son Tristan is wearing his Rangers jersey with a knitted helmet and beard and hockey skates. 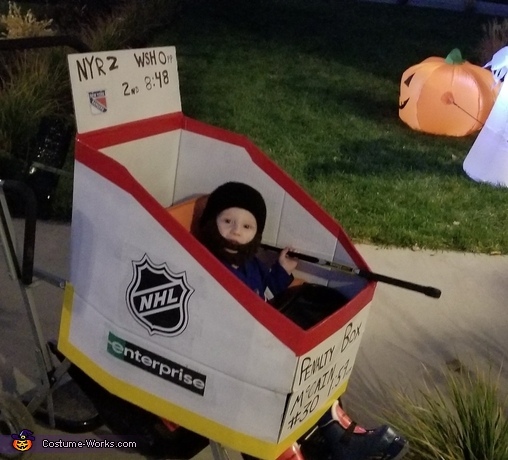 His penalty box is made out of a cardboard box that just sits over the top of his stroller and spray painted white and yellow and red duct tape. The logos are just printed and taped on.